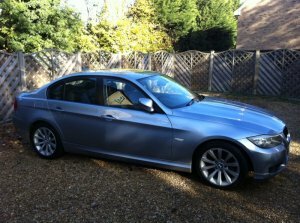 My first day with my first 3 series BMW (320D). Audi’s might have won the interior design depending on your taste – for me they have. AND the exterior design in some models is sexier but an overly engineered driving experience has left the ‘driving machine’ less than ultimate. I must say that I have never driven one ! So somewhat unfair of me to say going on what you read online but that must therefore be true! 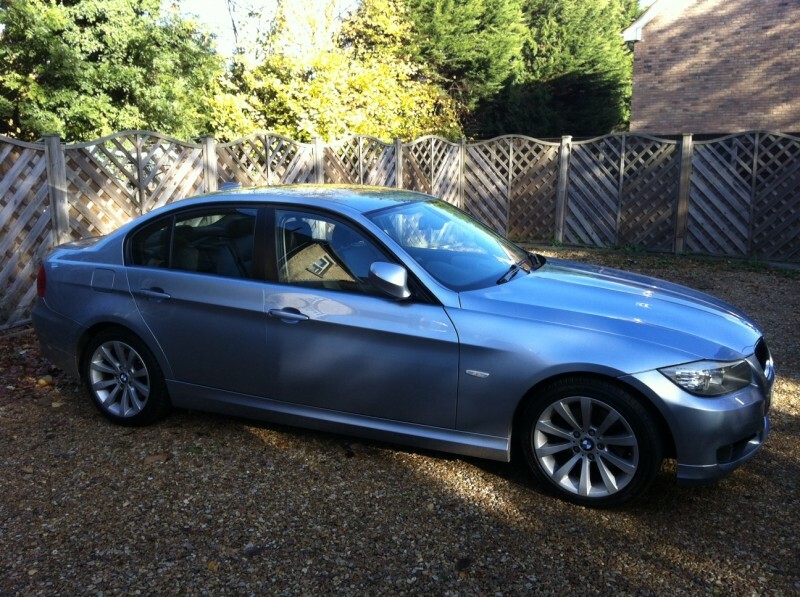 A Ferrari may lack the practicality that makes it ultimate, as surely that is for an all rounder such as the 320D. It’s just my first day remember, and a trip to Peterborough and some town mooching has shown possible weak points. Let’s say that I am not used to the car and have stalled a few times, this is simply me - not used to the accelerator travel and clutch, towards the end of my 2-3 hours in the car I am almost master. But the weakpoint is around town the stiff gearbox. In fact everything is stiff. You need to be very positive all throughout but I will say this from the boot and door shutting to the glove box to the indicator and everything where you touch the car apart from the steering which I find perfect. And I feel the road and the grip around a nice bend is encouraging the driver in me I never met. The model I have is based on the SE and I have a great speck, leather throughout making me feel really comfortable, smells great and the fact that I have the iDrive makes me think that I am someone. I really did just plug in my USB shuffle and selected it navigated to the folders and was able to scroll through my songs. Something you can’t actually do on most as you are limited to just next next next and that is IF you have a USB input. I got the full track name and album info and through the iDrive joystick which is so easy to use, it’s like they hired the people from apple (during jobs) to do their UX on it. The sat nav is almost awesome but apparently annoying that you can’t enter a postcode like most. Its views and split screen mean that you are so much less bored in traffic and at lights. At night the guide me home lights that react to the cars turning to the auto dimming rear view mirrors. The side view driver-side mirror has that split to allow a better field of vision ok nothing new there but instead of that crass ‘line’ of the two mirrors meeting somehow they have made it dashed so as to not make it look like a broken mirror – is it such a nice subtle touch that only a product designer could appreciate ? It seems to be that whatever car I get I end up obscuring the instrument dials a bit (vitesse and ‘revometer’) with the steering wheel. To get the best driving position regardless that I can adjust it otherwise. So I choose to not quite see everything as I like the feeling of being in the most comfortable position in the most comfortable chair in my possession. Curious to see how I might fare in an Audi now. But NO way in hell would I swap ! So to summarize that which I find bad : If you drive around town a lot get the auto (this applies to any car) It’s hard to blame the car for my being lazy from auto rentals hired abroad. And a matter of getting used to the stiff nature of things, I think stiff is not the right word as it’s less than stiff maybe ‘good to firm’. But the gear change no doubt is clear and fast. Oh yes I found that I do indeed have a sixth gear ! And I was able to get over 50mpg at 70mph as it told me. It really is an eco rocket – ask and she gives you a smooth power delivered best to be confirmed as I am yet to do it consistent enough. But you know when you find the sweet spots. Plenty to get around most things safely its no slouch and from my perspective it does indeed feel like a rocket. If you need more power BMW can give it to you in the same luxurious environment with 6 pots which is the 325d and up to the 335d, a seriously fast car – go check - go figure - go fun. I did manage to get cruise control working for me in fact it was so intuitive and safe. There are a lot of icons and the manual is quite thick. In fact for my 11 ¼ grand I feel that I have a lot for my money on my spotless 09 plate. One feature is the auto stop start handy at lights – just roll to the stop, hit neutral and apply the handbrake the car stops the engine. Lights green – clutch into first starts engine handbrake off we go. I can learn how to do real keyless entry as well in the end, so I don’t need to press the fob, the car detects it. This is clearly a car you need to learn to drive to appreciate her to the full it’s not just a car. For me specifically this car represents a freedom in that I can get to France with ease and comfort and with money for ‘du ricard’ as I can do maybe 450 miles on a full tank of diesel. My Business Edition version has a ski tunnel for skis or other long items. The runflats and whole concept of not having a spare wheel is new to me and indeed of having limited boot space. Something you might like the Audi for as some are hatchbacks. But BMW have a tourer for you, we call it an estate and for good reason marketing companies should adopt touring here too.